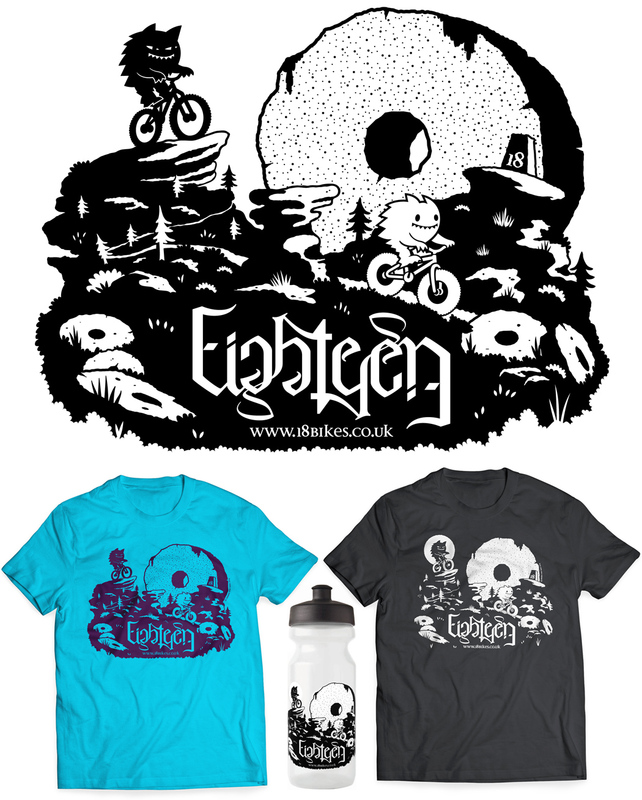 Collaborative T-Shirt and Waterbottle design for the friendliest, most-knowledgeable, most award-winning-ist, most handsome-ist, greatest little bike shop ever, 18 Bikes! Featuring millstones, peat hags, yorkshire gritstone and a sandy trail, as well as Dark Peak and White Peak Craglins, this is the perfect tee for any 2-wheeled, bearded (or non bearded) mountain-person. Show your love of the Peaks today – the tees and bottles are now available now online and instore at 18 Bikes.